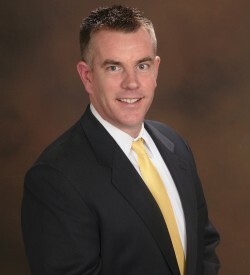 Greg Meagher is Director, Dental Networks, Sun Life Financial U.S. In this role, Greg managers a team of 40+ and oversees Sun Life’s dental networks, which are recognized as one of the largest national PPO networks. Greg’s leadership, expertise, and deep knowledge of provider relationships, marketing, sales, claims, and dental underwriting are a strategic asset in today’s changing healthcare and insurance environment. He started in this position in March 2016. Prior to Sun Life, Greg was at Assurant Employee Benefits (AEB) for 10 years until AEB was acquired by Sun Life. He began his career in the dental industry in 1994 as the Dental Network Manager for Prudential Healthcare. When Aetna acquired Prudential, Greg became the company’s Team Leader of Provider Relations and assisted with the transition. Greg earned a BSBA in management, marketing and finance from Kutztown University in Pennsylvania. He is married and lives in South Jersey with his wife and three girls who are 17, 15 and 13.